The Judicial Conference of Australia is the representative body of the Australian judiciary. It was established in 1993 as an incorporated association. Its objectives all relate to the public interest in maintaining a strong and independent judiciary within a democratic society that adheres to the rule of law. The Judicial Conference of Australia (JCA) consists of judges and magistrates drawn from all jurisdictions and levels of the Australian court system. 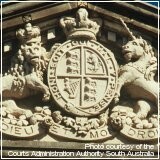 Membership of the JCA is open to all serving and retired judges and magistrates in Australia. The membership now stands at just over 700, which is significantly more than half of the judicial officers in Australia. To read a brief history of the early days of the JCA, click here. Defending the judiciary against unwarranted attacks. Communicating with other arms of government, for the purpose of promoting mutual understanding. Seeking improvements in the administration of justice and accessibility of the judicial system. Undertaking or supporting research that will benefit these aims. The JCA’s Governing Council is chaired by the Hon. Justice Judith Kelly of the Supreme Court of the Northern Territory. The JCA has formalised its membership of the International Association of Judges and the Commonwealth Magistrates’ and Judges’ Association as a member organisation. The Judicial Conference is funded almost entirely by membership subscriptions. The membership fee for the year 2018-2019 is $230.00 (GST inclusive). For retired judicial officers, the rate is $50 for one year or $150 for three years (GST inclusive).